Brazil's football federation (CBF) sends letter to FIFA condemning officiating in Sunday's 1-1 draw with Switzerland and demanding clarification regarding use of the new Video Assistant Referee system (VAR). RIO DE JANEIRO, BRAZIL – One day after Brazil’s disappointing 1-1 draw against Switzerland in the 2018 World Cup, Rogério Caboclo of the Brazil Football Confederation (CBF) sent a letter to FIFA condemning the officials’ decision not to use the new Video Assistant Referee system (VAR) to look at Switzerland’s Steven Zuber’s tying goal in the second period. On Monday, the CBF questioned FIFA regarding the use of VAR in Sunday’s disappointing 1-1 draw to Switzerland in the World Cup, photo internet reproduction. Specifically, Caboclo asks for clarification regarding the VAR protocol and questions why the technology was not used, in what the CBF calls “certain key-episodes” of the game. The letter also referenced a non-call late in the second half when Gabriel Jesus was apparently taken down in the penalty area by Swiss defender Manuel Akanji, which, according to the CBF, should have produced a penalty for Brazil. Noting the importance of transparency regarding video review, the CBF then demanded the “video and audio recordings” between the referees and replay officials to shed light on their decision-making process. While the CBF condemned the officiating from Sunday’s 1-1 draw, Brazil team captain Marcelo insisted that the officials non-use of VAR did not impact the end result. “[The official] did not want to look at the big screen, but it is not an excuse for the draw,” said the Real Madrid star to Globo. The 2018 World Cup is the first major international football tournament to use the new VAR. 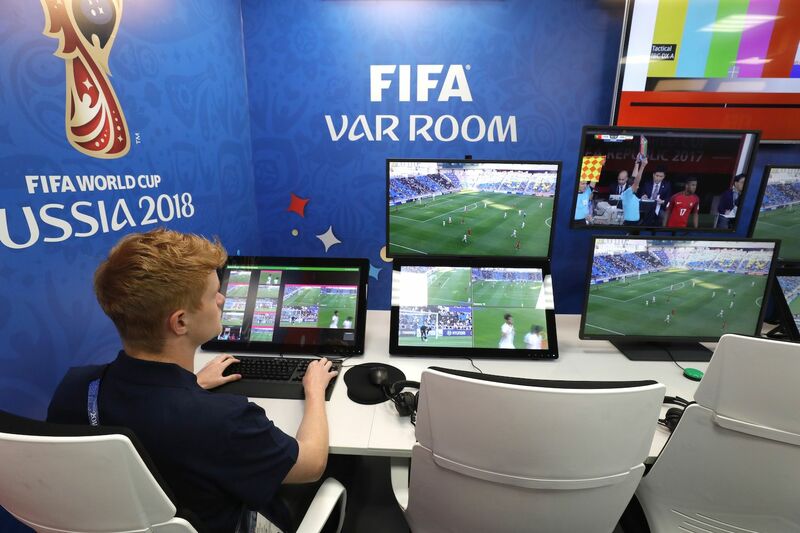 The system is meant to help on-field officials make the right call by communicating with VAR officials who are following the match live in an off-site video operation booth.